This book is a wide-ranging and interdisciplinary examination and critique of meat consumption by humans, throughout their evolution and around the world. Setting the scene with a chapter on meat’s role in human evolution and its growing influence during the development of agricultural practices, the book goes on to examine modern production systems, their efficiencies, outputs, and impacts. The major global trends of meat consumption are described in order to find out what part its consumption plays in changing modern diets in countries around the world. The heart of the book addresses the consequences of the "massive carnivory" of western diets, looking at the inefficiencies of production and at the huge impacts on land, water, and the atmosphere. Health impacts are also covered, both positive and negative. 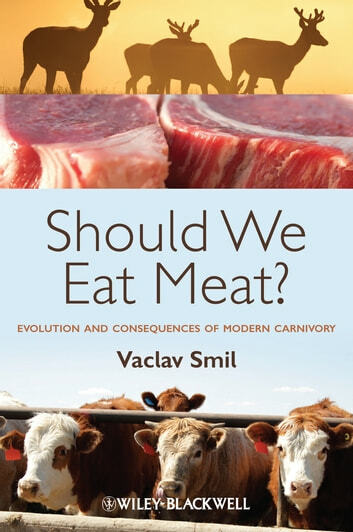 In conclusion, the author looks forward at his vision of “rational meat eating”, where environmental and health impacts are reduced, animals are treated more humanely, and alternative sources of protein make a higher contribution. Should We Eat Meat? is not an ideological tract for or against carnivorousness but rather a careful evaluation of meat's roles in human diets and the environmental and health consequences of its production and consumption. It will be of interest to a wide readership including professionals and academics in food and agricultural production, human health and nutrition, environmental science, and regulatory and policy making bodies around the world. Ähnliche Bücher wie Should We Eat Meat?